The 2017 Volkswagen CC is powered by a 2.0-liter 200 bhp, 207 lb-ft 4-cylinder engine. Power is sent to the front wheels through a 6-speed dual-clutch transmission that is at its best on the open road. Standard specifications are high and include navigation, rearview camera and heated power front seats while the top R-Line trim adds adaptive cruise control, panoramic sunroof and a number of active safety features such as lane departure and forward collision warning. Mediocre dynamics and a lack of space in the rear let the package down and there are more modern alternatives, even within its own stable that offer more for your money. The Volkswagen CC was one of the first four-door coupes on the market and has been available for some years now, although you would struggle to tell from the handsome exterior styling. Despite its age the CC still offers a range of features and a quality interior that should keep it competitive with newer offerings in its class. For 2017 certain variants have been discontinued and the remaining trim levels have received additional standard equipment to bolster their value proposition. Step inside the CC and the airy interior and high material quality makes for one of the more pleasant cabins in its class. A few hard plastic trim items on the doors and center console are about as bad as it gets and all the minor controls fall easily to hand. The driver and front passenger should have no trouble in getting comfortable in the two front seats, the side bolsters are supportive and there is plenty of leg and headroom. Taller passengers in the rear will feel less pleased with the lack of headroom and the shallow side windows do make you feel a bit hemmed in. Cargo space is also compromised thanks to that curvy rear end and some shoppers may prefer a more traditional sedan layout for its increased practicality. 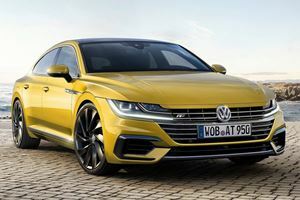 The Volkswagen CC looks a lot sportier than it actually is, despite the large alloy wheels and low-slung body it does not have the handling balance and grip to rise above the class average when it comes to challenging roads. It is also not quite up to the level of newer models in this class when it comes to absorbing larger bumps and filtering out road noise. 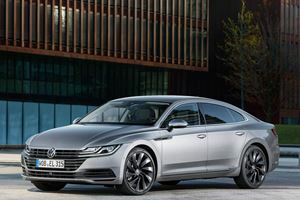 The CC does make a far better go of it when it comes to highway cruising, the dual-clutch transmission is quick to respond to changes in speed and the turbocharged engine offers a smooth and strong power delivery without the slight hesitation it exhibits from a standing start. For 2017 the Volkswagen CC is now down to one engine option, this being a turbocharged 2.0-liter inline-four that produces 200 horsepower and 207 lb-ft of torque. Mated to a 6-speed dual-clutch (DSG) transmission it powers the front-wheel drive CC to 60 mph in around 7-seconds which is slightly below the class average. When on the go, the CC responds quickly to inputs and feels responsive enough, a city/highway consumption figure of 22/31 mpg respectively is a decent showing but class leaders are even more efficient. The 2017 Volkswagen CC has been narrowed down to one engine/transmission and two trim levels. The base Sport trim offers a comprehensive level of standard specifications including 17-inch wheels, LED Taillights, Bi-Xenon headlights, rearview camera, VW app-connect system, 6.3-inch touchscreen incorporating navigation, power adjustable and heated side mirrors, 12-way powered and heated front seats and leatherette interior trim. The top R-Line Executive trim level adds 18-inch wheels), panoramic sunroof, paddle shifters, leather interior with memory function for the driver and a safety systems are bolstered with forward collision and lane departure warning, autonomous emergency braking and adaptive cruise control systems. Optional extras are limited to minor trim accessories and 19-inch alloy wheels on the Sport trim. 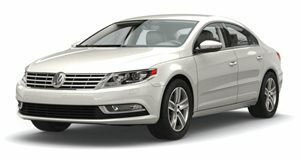 The sleek Volkswagen CC offers a lot of specification for the money and while it is not outstanding in any one area, it does not exhibit any glaring faults either. This may be damning it with faint praise but age has finally caught up with the CC and in a class this competitive, looks can only get you so far. That said, if loads of rear passenger and cargo space are not a priority, the 2017 CC is packed with equipment and remains a good highway cruiser offering decent economy. 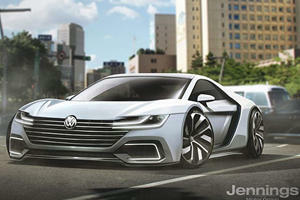 400-HP VW Arteon Planned To Compete With The...Panamera? Has some German engineer gone mad? Sounds like it.